shape and size of the reluctor wheel teeth. 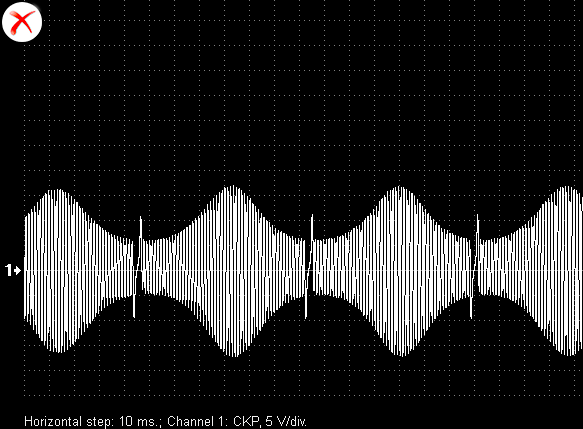 Typical waveform from inductive rotational speed sensor. 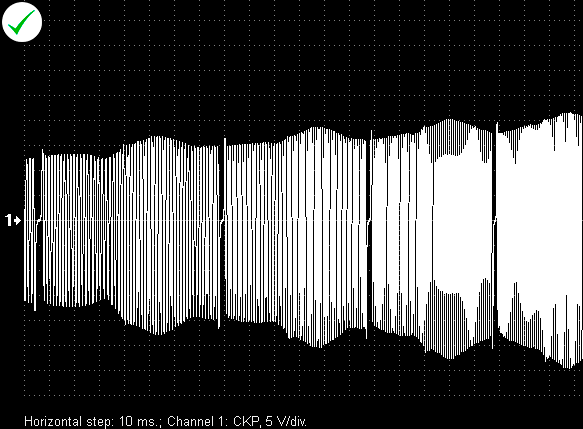 Typical waveform from an inductive crankshaft position sensor. 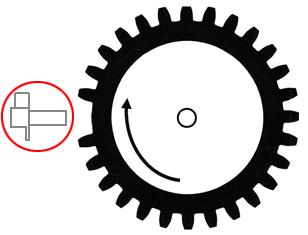 2 – synchronization signal with the ignition spark in the cylinder 1. 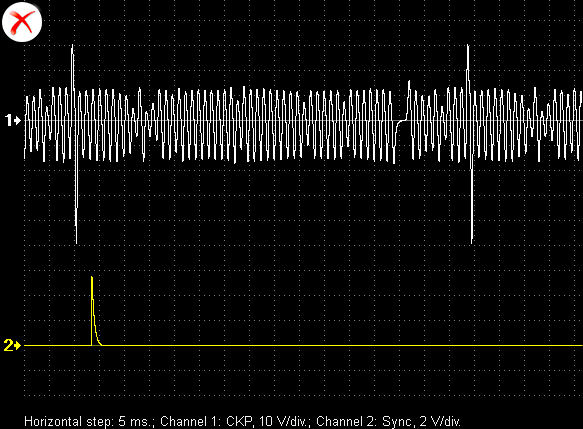 Camshaft position sensor signal (Toyota Avensis 1.8i 2007). 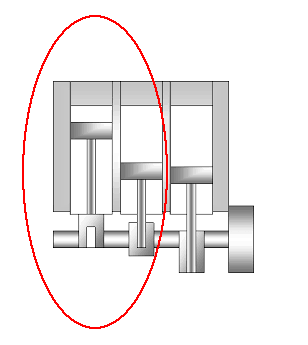 Crankshaft position sensor signal, the reluctor wheel has 4 teeth without gaps. 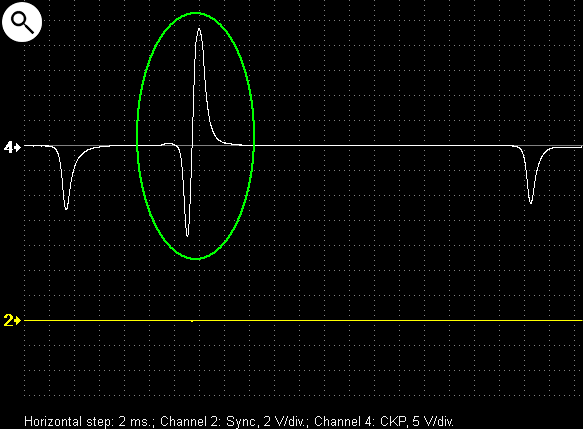 Crankshaft position sensor signal from a Subaru engine. 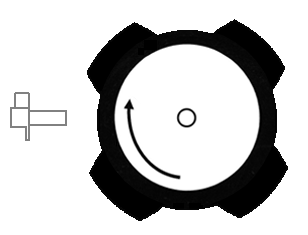 Inductive sensor signal depends also on position and shape of the reluctor wheel teeth. 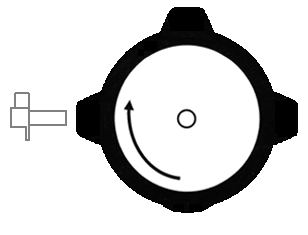 For example, shown is a typical signal from the crankshaft position sensor on a Renault engine. 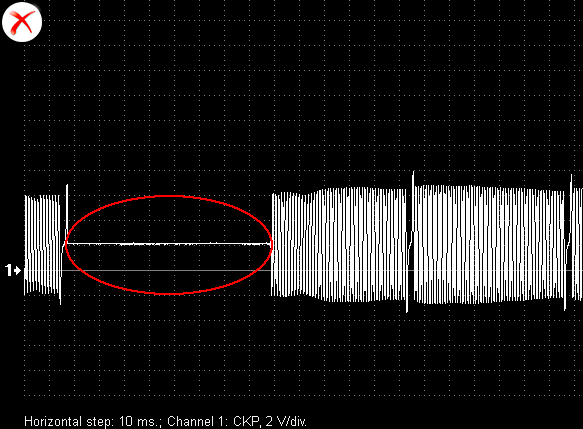 3 – signal from a Hall effect camshaft sensor. 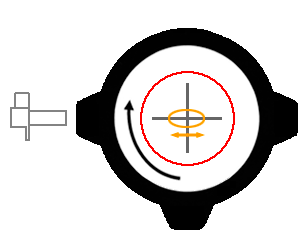 Additional pulse in signal of inductive crankshaft position sensor is generated by a permanent magnet installed at the end of one reluctor wheel tooth. 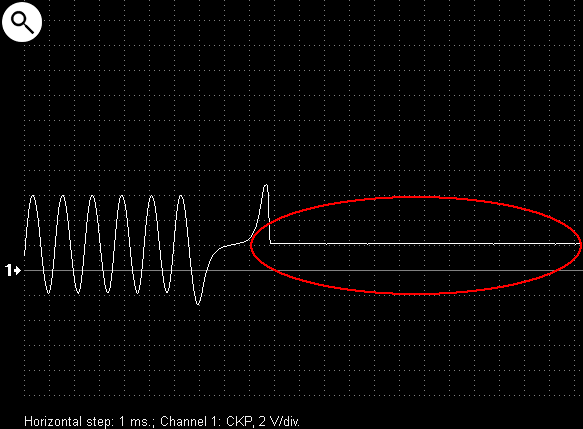 Shown is how the amplitude and frequency of pulses generated by an inductive sensor depends on engine rotational speed. This is an example of how the amplitude from an inductive crankshaft position sensor is modulated or changes due to a change in distance between the reluctor wheel teeth and the sensor. In this case it is due to eccentricity or runout of the reluctor wheel relative to the crankshaft. 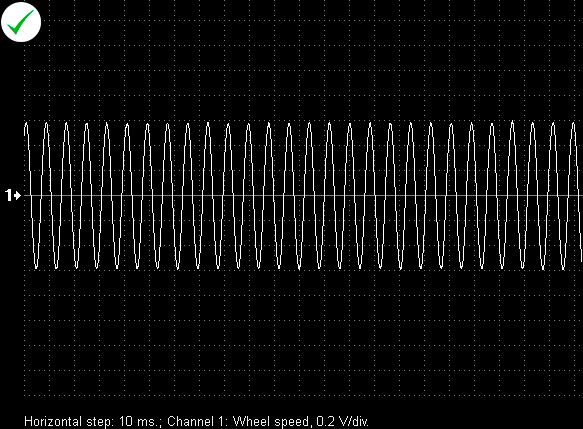 An example how rotational speed of the reluctor wheel influences amplitude and frequency of the inductive sensor signal. The crankshaft rotational speed is unstable due to low compression in two out of the three cylinders. 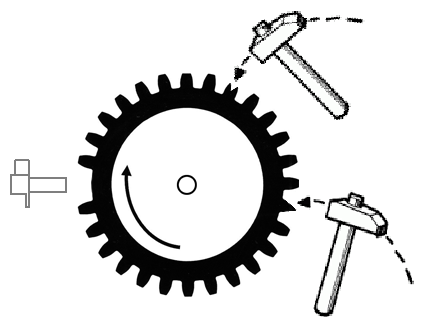 (Chevrolet Spark 0.8i). 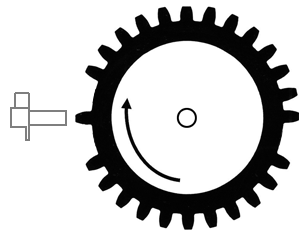 4 – synchronization signal with the ignition spark in the cylinder 1. 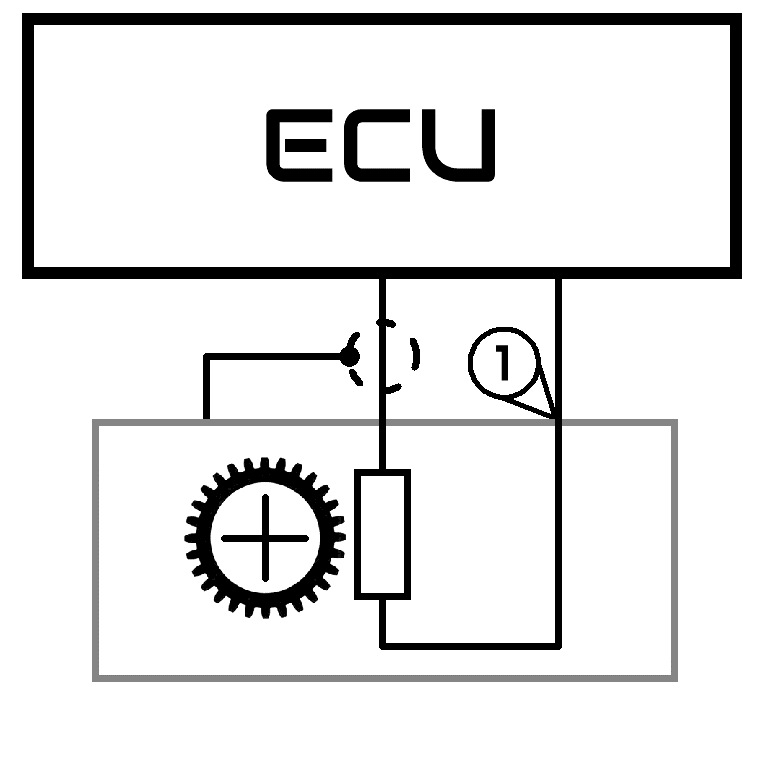 An example of an intermittent open circuit in the winding of an inductive crankshaft position sensor (Hyundai Elantra 1.6 2010). 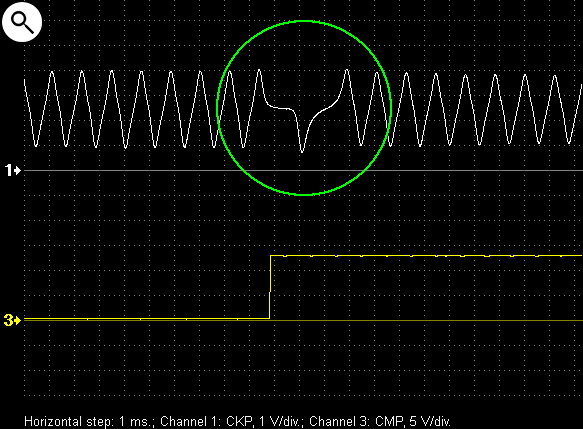 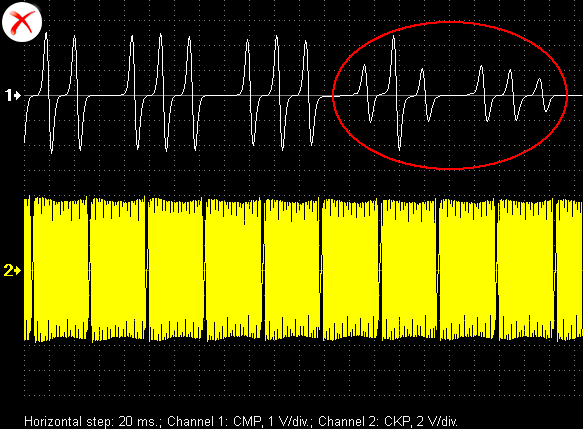 Signal from an inductive sensor where the reluctor teeth are physically damaged. 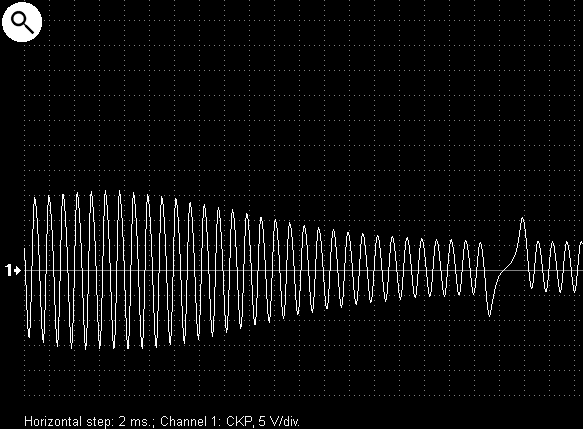 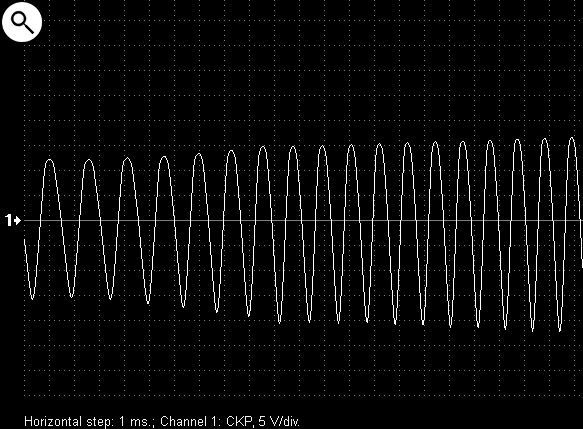 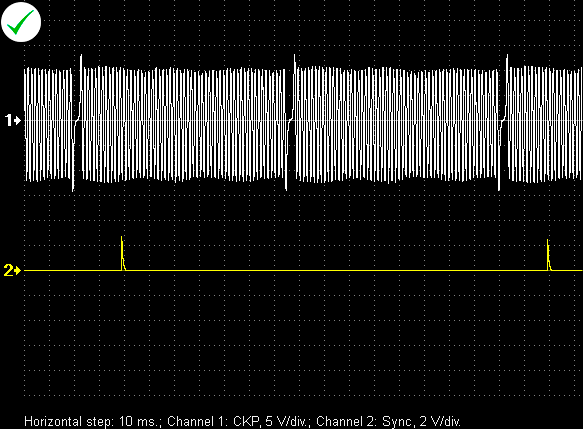 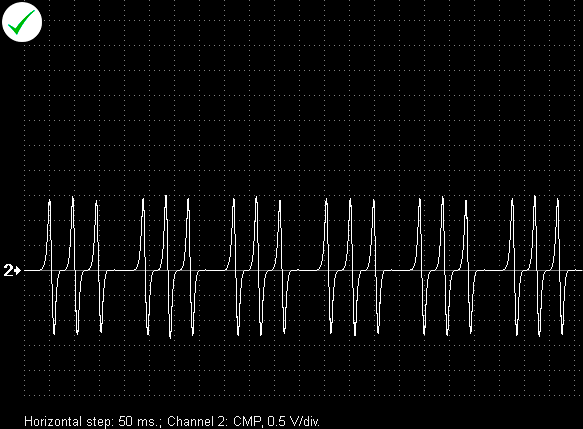 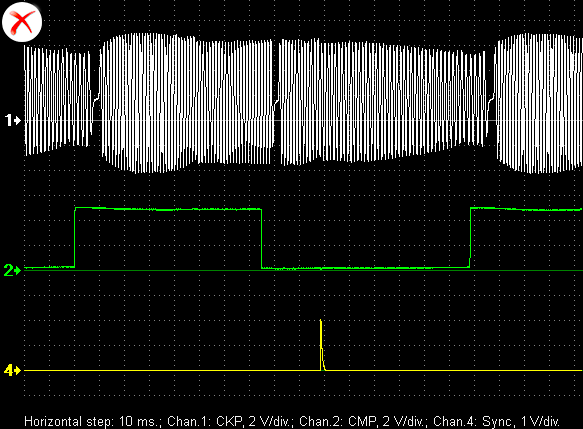 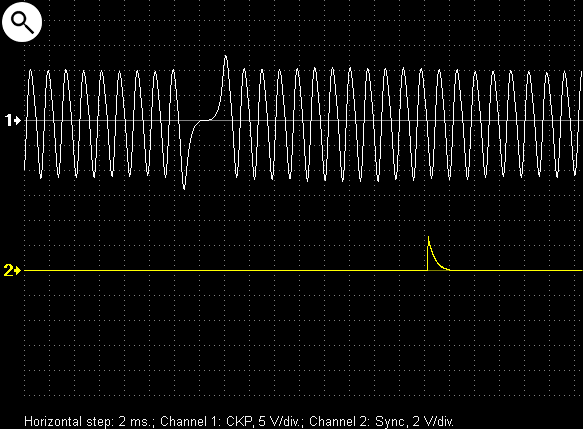 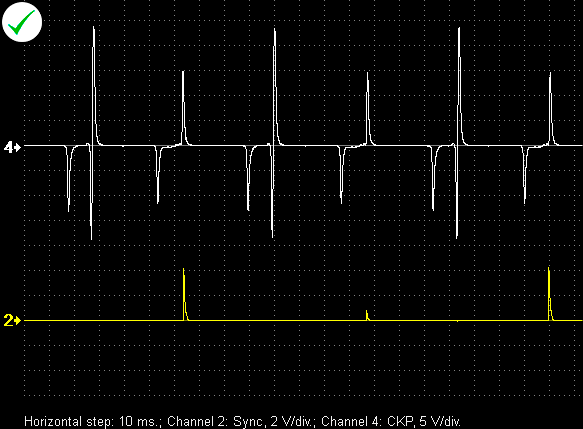 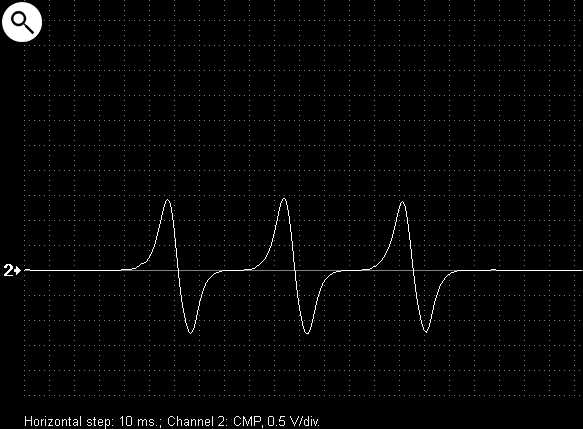 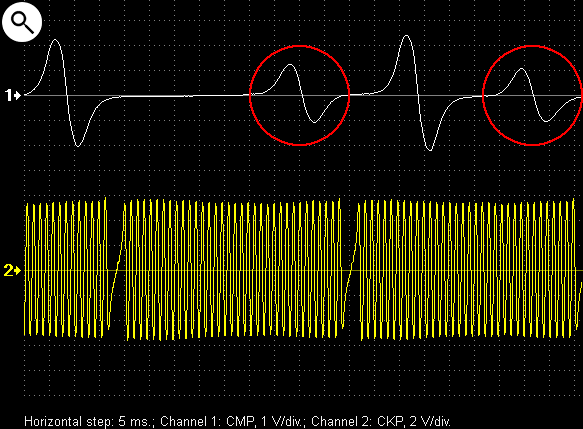 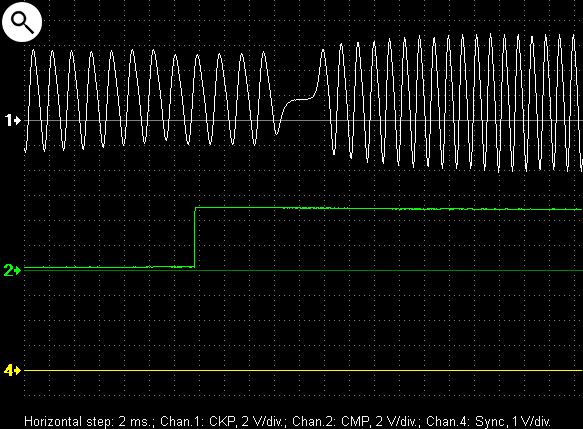 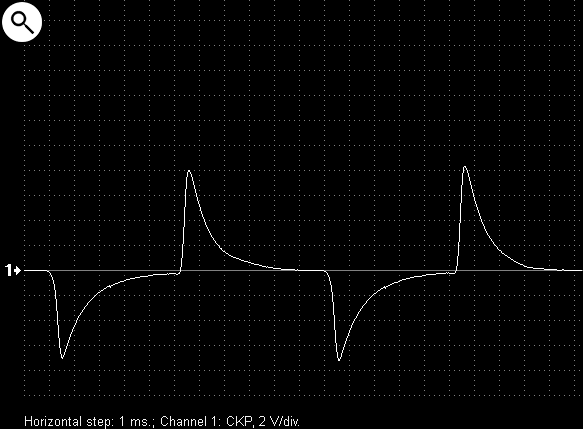 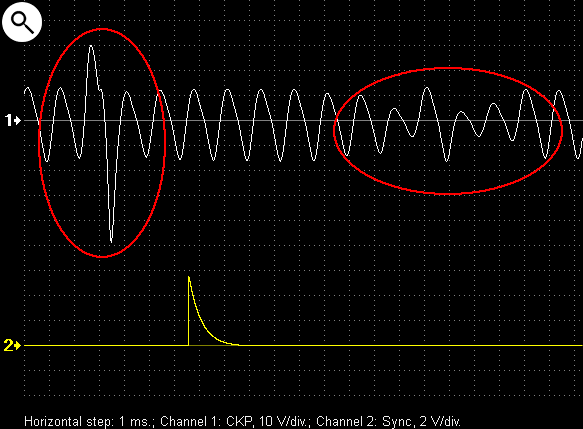 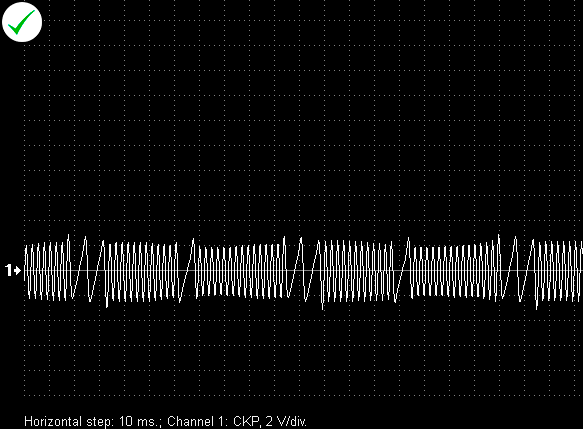 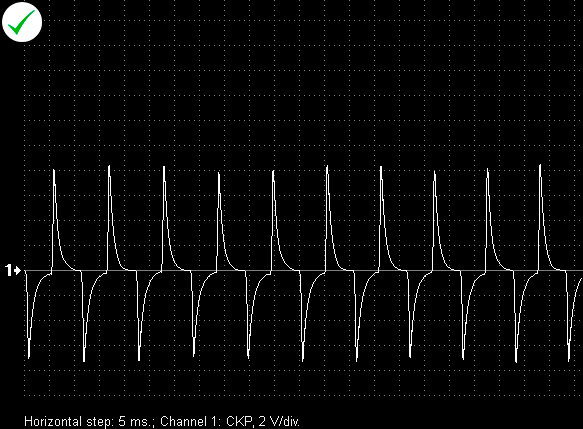 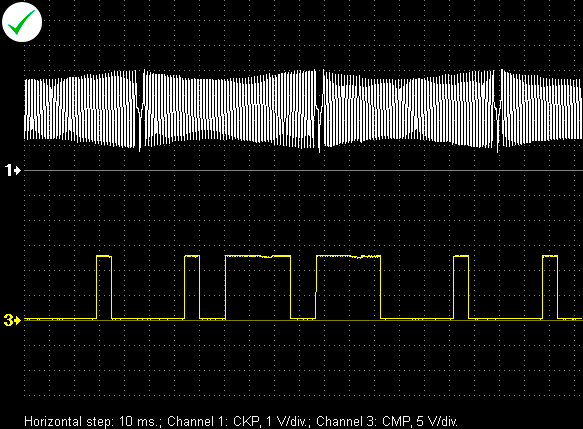 Signal from an inductive camshaft position sensor. The distance between the sensor and the reluctor teeth changes randomly due to camshaft bearing wear. 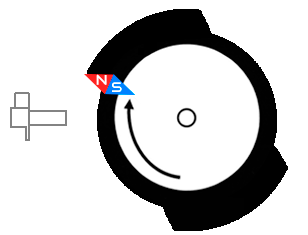 2 – signal from the crankshaft sensor.